2. Max 1000mA charging current, fast charge to save your time. 3. One button easy control all charging status. 4. 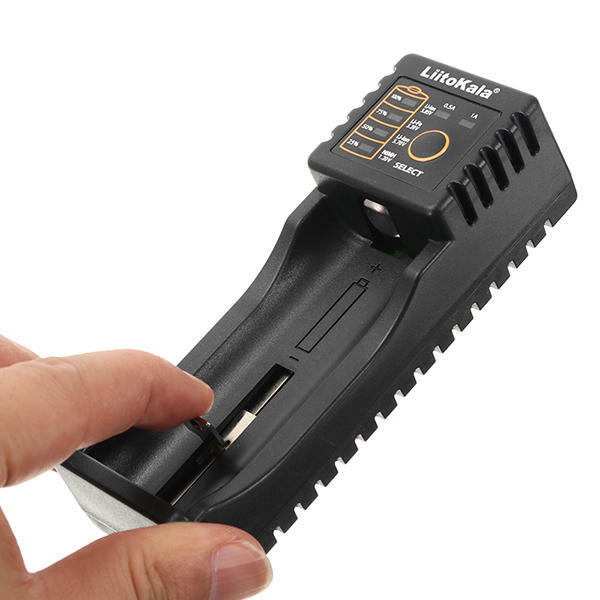 Soft-start function, to avoid damage from large current charge and safely charge small capacity batteries. 5. LED indicator display battery charging process. 6. Two charging current options. 7. Reverse polarity protection,to protect from improper battery installation. 8. Short-circuit, over-load and over-heat protected, intelligent circuits. 9. 0V activation function,1.6V-2.2V couldn't charge. 10. USB output function, can be portable power source for your mobile devices. 1. Button: power connetion, hold press button 2 seconds to switch charging current as 500mA or 1000mA. 2. Insert the battery, press button to change charging modes. 3. LED indicator: power connetion, all of indicators light, if no battery in the slot, 500mAh indicator constant on, others off. 1. For this charger may only be used with rechargeable battery types listed above. 2. Do not attempt to charge other battery types, this is dangerous and may cause personal injury! 3. 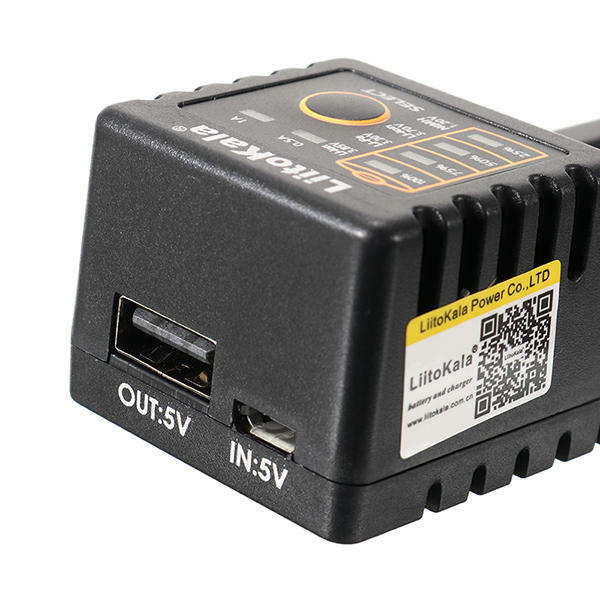 USB output function only work at Li-ion batteries.